If ever you find yourself in Greece, never miss an opportunity to visit its capital: Athens. 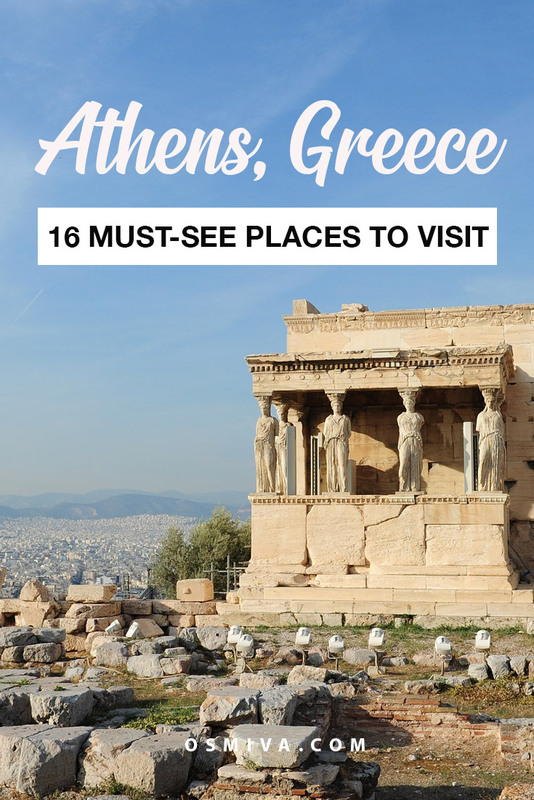 Here’s a list of places to visit in Athens when you go visit for a couple of days. 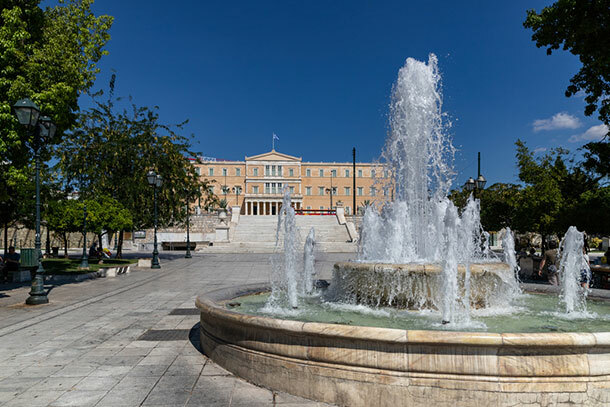 Athens is considered to be the historical capital of Europe with its long and fascinating history topped with its rich and significant culture. The city has been conquered by different nations over the years, each nation erected unique and splendid monuments. Some of this monument still stands today and has become a part of Athens’ historical landmarks. A day or two spent exploring the city’s many wonders will surely leave you enchanted and intrigued with the civilization of the ancient world. 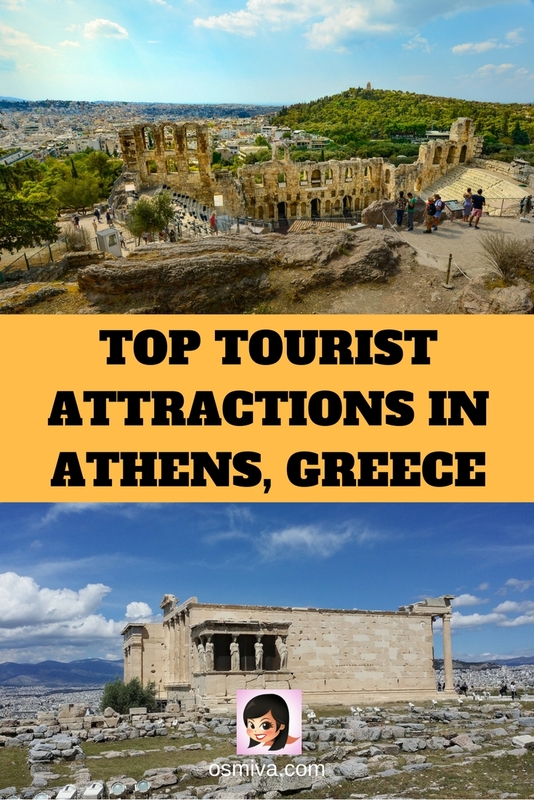 If you’re planning on visiting Athens for a day or two, here are some of the most popular places to visit in Athens, Greece that you may include on your list of tourists attractions to see. I know that sometimes it would be impossible to tour the entire city for a few days. 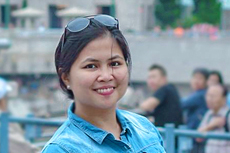 So it is generally best to visit its popular tourist destination first to get a feel on what makes it extra special to tourists like you. 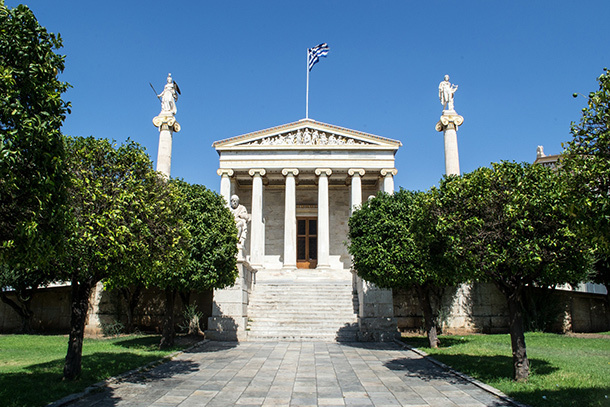 The Academy of Athens is regarded as Greece’s national academy with the highest research establishment in the country. It forms part of the ‘Neoclassical Trilogy’: Academy, University and Library. 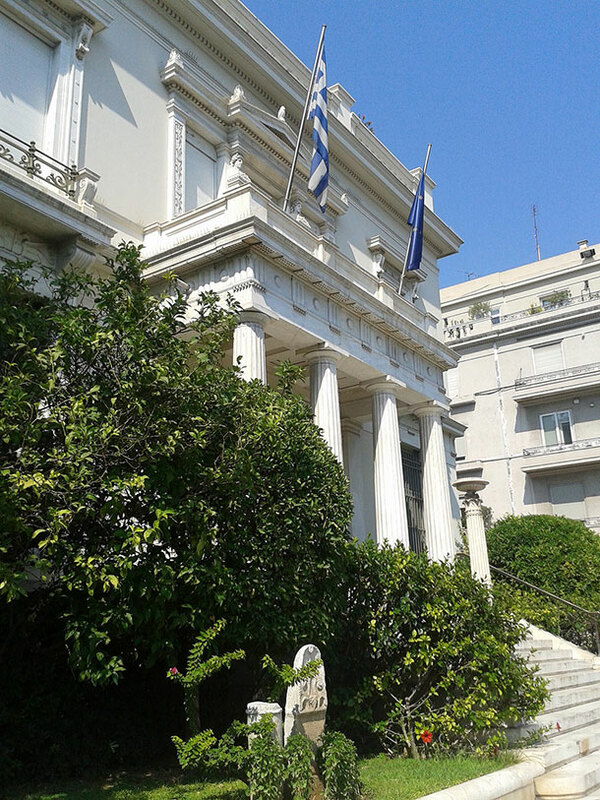 With its impressive building structure, the Academy is also one of Athen’s major landmark. 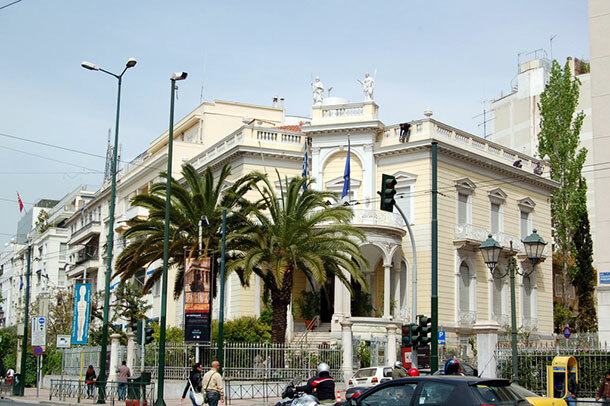 A remarkable museum of the arts and culture of Greece from the Neolithic Age to the early 20th century. Its exhibits focus on the overview of the history of Greek art and crafts from the prehistoric times to the modern age. 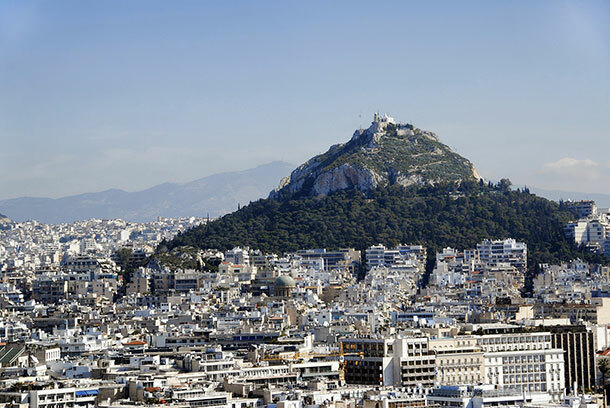 For hikers traveling to Athens or those who love adventure and appreciate beauty at its truest form, a hike through Mount Lycabettus in the morning or late in the afternoon is a good choice. The view overlooking Athens is not the only attraction here. There are a cafe and a small church situated at the top of the mountain. Of course, if you are not into hiking, you have the option to take the Funicular Railway which is regarded as the world’s weirdest train. Dedicated to the study of and promotion of the Aegean and Cyprus’ ancient culture, the Museum of Cycladic Art was founded in 1986. The Museum of Cycladic Art’s collection includes not only archaeological objects but temporary exhibits of modern and contemporary art as well. 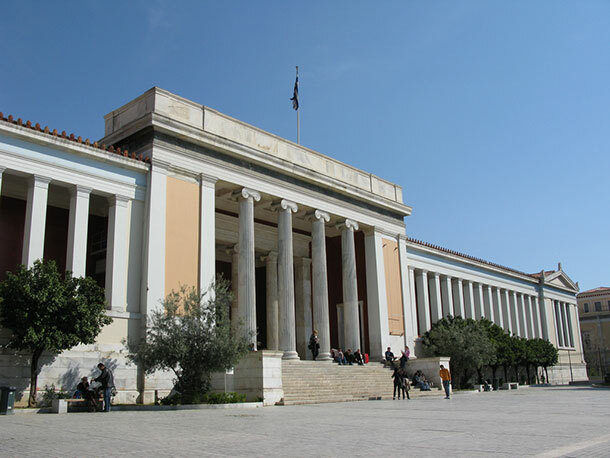 The National Archaeological Museum is considered to be the largest and most important museum in Greece. It features the Minoan’s (an ancient tribe of people in the Aegean Sea) art and artifacts. The museum’s collection of artifacts and artwork dates back from the Neolithic Age to the late Antiquity. Collection of the museum includes its Prehistoric Collection, Sculpture Collection, and Vase Collection. 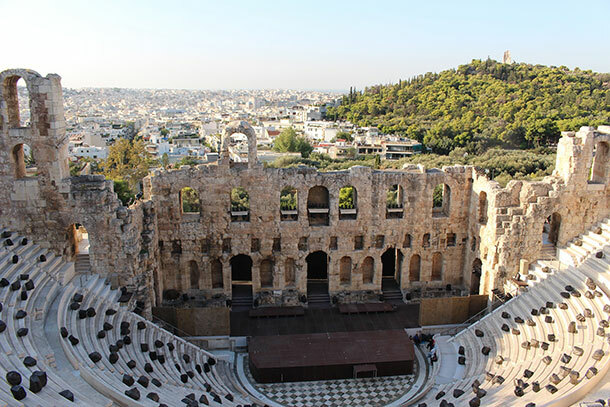 The Odeum of Herodes Atticus is a second-century stone theater. It was built in memory of Herodes Atticus’ wife. Originally an amphitheater, the venue was created for music concerts which can sit 5,000 spectators. 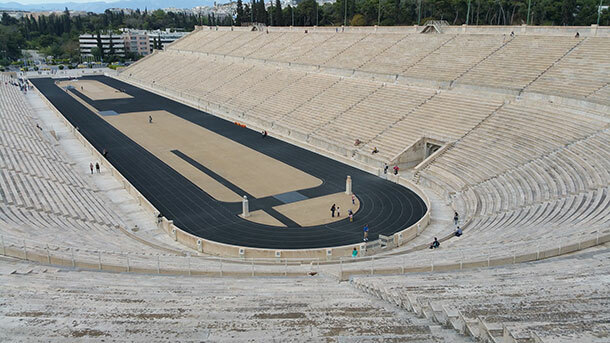 The Panathenaic Stadium is also known as the Kallimarmaro. It is a beautifully marbled stadium that was first built in the 4th Century BC. The stadium was later rebuilt at the end of the 19th century after falling into decay. The stadium was used to host the first modern Olympic Games. Originally, the stadium was built to accommodate the Panathenaic Games which is a part of a large festival in honor of the goddess Athena. The Parthenon is the majestic ruins of an ancient Greek building. It is considered to be an icon of Western civilization and the most famous building in the world. 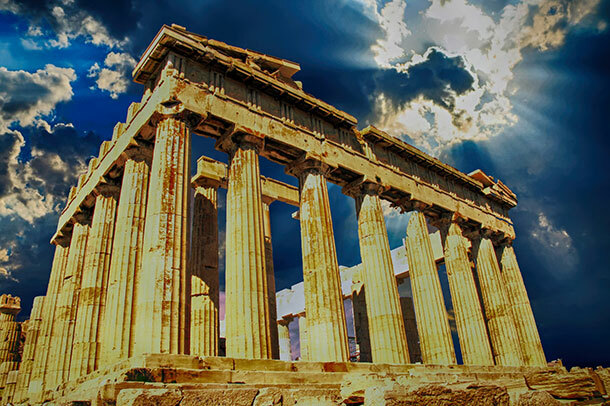 The Parthenon was built in honor of the patroness of the city of Athens, goddess Athena Parthenos. The temple was built in the 5th century and is situated on top of the sacred Acropolis Hill which overlooks the city of Athens. 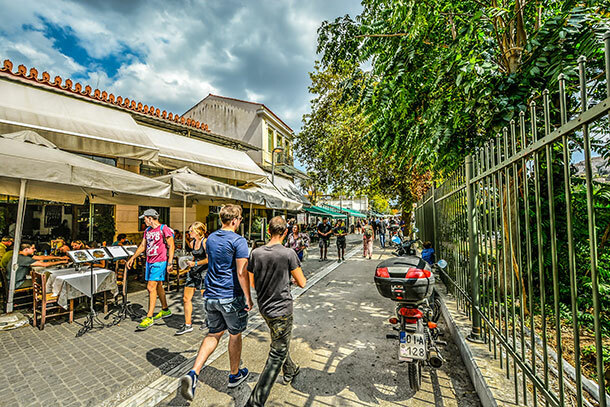 Plaka is a historic neighborhood and definitely one of the places to visit in Athens. Plaka is the oldest section of Athens and a favorite tourist destination when visiting the city. It’s one popular tourist destination because of its restaurants, jewelry stores, tourist shops, and cafes. The square has a central fountain, statues and grassy areas with trees. Its main attraction is the House of Parliament. 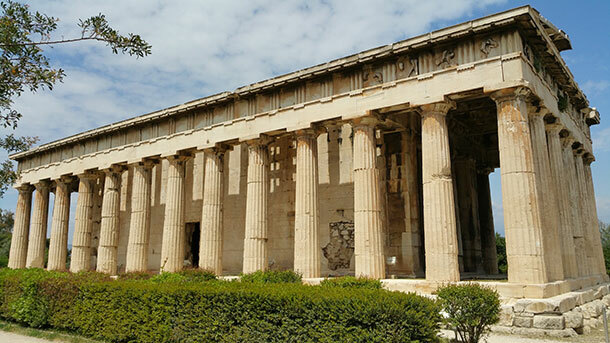 The Temple of Hephaestus is regarded as the best preserved ancient temple in Greece. It was built in honor of Hephaestus, the ancient god of fire, and of Athena, the goddess of pottery and crafts. A classical example of Dorian architecture, the temple is one of the greatest ancient monuments in Greece. 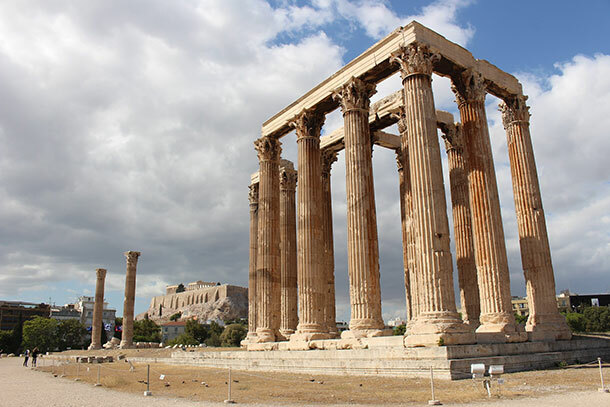 The Temple of Olympian Zeus, during its years of grandeur, was the largest temple in Greece. It was completed after almost seven centuries. The temple was originally built with 104 massive, 17.25 meters of high columns. Today, however, only 15 of the 104 remains standing. The temple was built in honor of Zeus Olympios. A large hill in the center of the city with a cluster of temples, the Acropolis is the area where some of the world’s most important buildings are located. 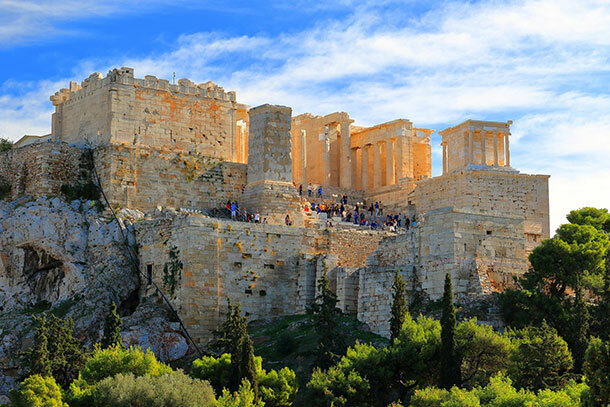 Among the famous buildings in the Acropolis is the Propylaea, Temple of Athena Nike, the Parthenon and the Eechtheion. The Acropolis Museum is a modern and up-to-date building located at the foot of the Acropolis where sculptures and reliefs found in the Acropolis are displayed. Among its collection are a large number of Archaic statues, both Korai (female) and Kourai (male) statues from the fifth and sixth century BC and sections of the Propylaea, the temple of Athena Nike, and the Erechtheion. 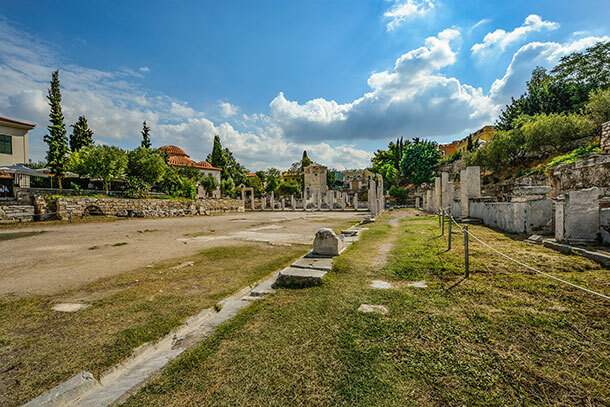 During the Antiquity, the Ancient Agora was Athen’s commercial, social and political heart. The Ancient Agora, at present, looks like a large park with ruins of ancient buildings all around. It is also the location of the Temple of Hephaiston, the Stoa of Attalos and the Museum of the Ancient Agora. The National Garden is a popular family hangout for locals. 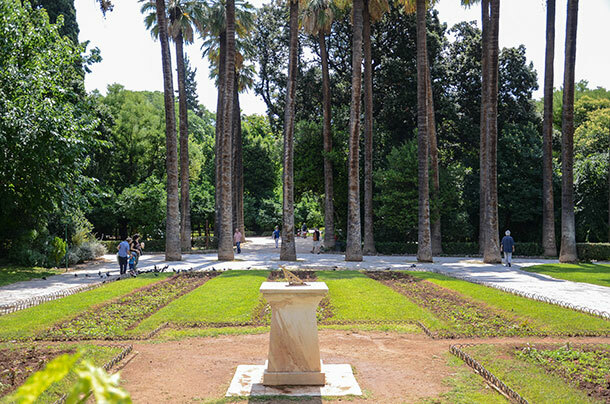 It is a green oasis in the heart of Athens with winding paths, decorated with statues, flowerbeds and even some ruins from the Antiquity. All hyped up for a vacation in this interesting city? Check out our post on Athens, Greece hotels. 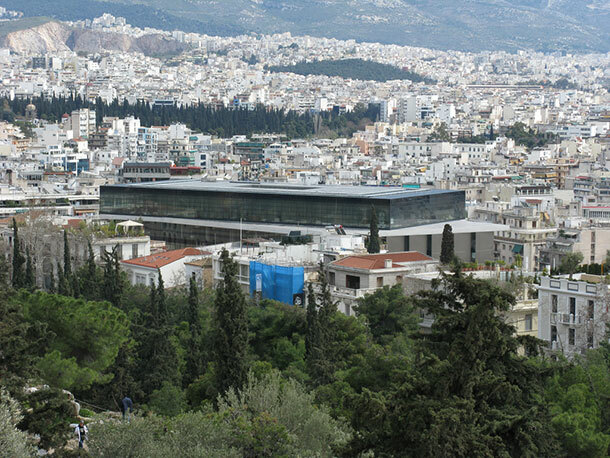 You can also book a Half Day Tour at the Athens Acropolis Museum here! ..i think Mount Lycabettus is kinda cool!